I wouldn’t think of having a meal without it. In Italian fashion, I cook with it and sometimes I even add it to the food (if that line is stolen from somewhere, let me know, but it’s the truth). Yet as a wine drinker and not a wine expert, I still make my choices in a fairly haphazard way based on what I fancy at any particular time, or what I am cooking, or where I am. If “negligently knock back the contents of [my] glass” hardly describes my romance with the drink that Galileo described as no less than “sun held together by water,” I confess to reticence in the matter of exploring the collaborative effort of nature, humans, and time in any but the most applied way. Particularly because the more I learn, the greater the journey looms. There have been many technological and scientific developments in viticulture over four decades with farmers going back to traditional practices that avoid soil-punishing modern agricultural methods (hooray!). 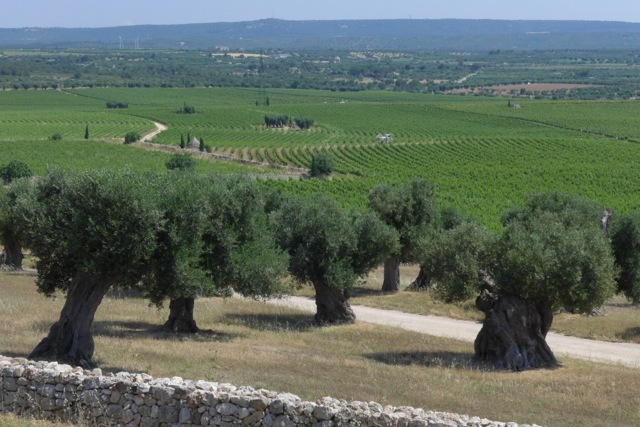 And Italians, whose wines I am most inclined to drink, tend relatively small vineyards and grow native grape varietals barely known outside its territory. 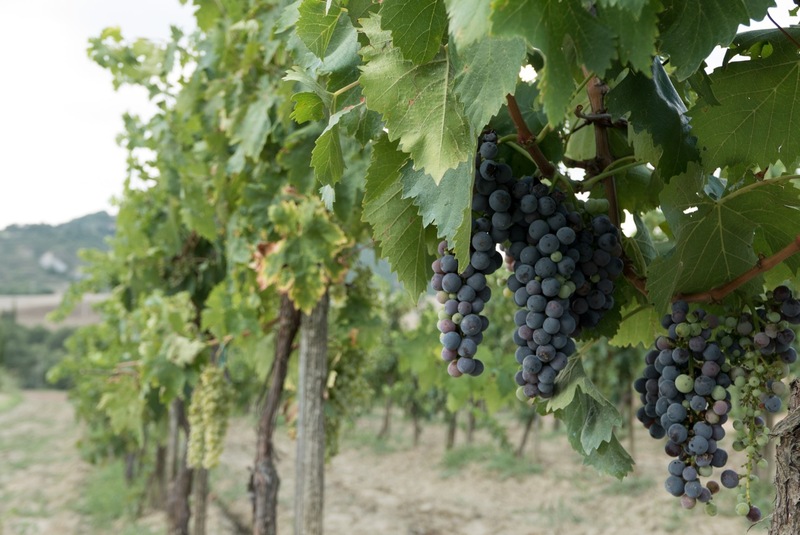 In fact, they plant more grape types than any other country in the world. 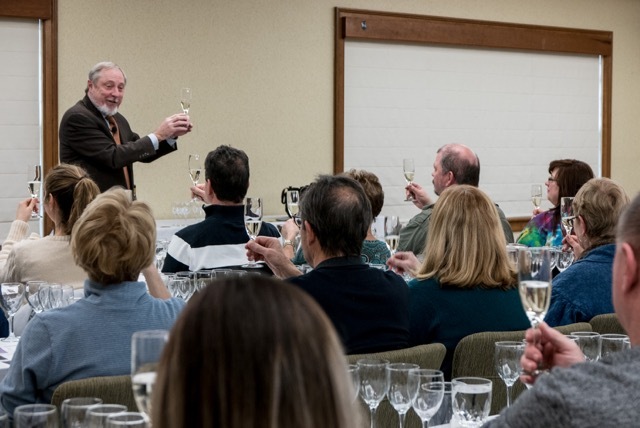 One million mom and pop growers owning two million acres of vineyards throughout the country’s twenty regions—we’re talking about some two thousands wines now—makes an outsized curriculum. In addition, how to begin to understand the differences between regions and styles? 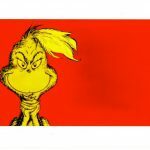 Besides, the trouble with any attempt to delve into the dizzying world of Italian wines with any hope of understanding it is confounded by U.S. import and interstate shipping regulations that makes most of them impossible to get here. What about other wines besides Italian? And just to throw a monkey into the kettle of fish, good Lord, how will global warming affect the vine? 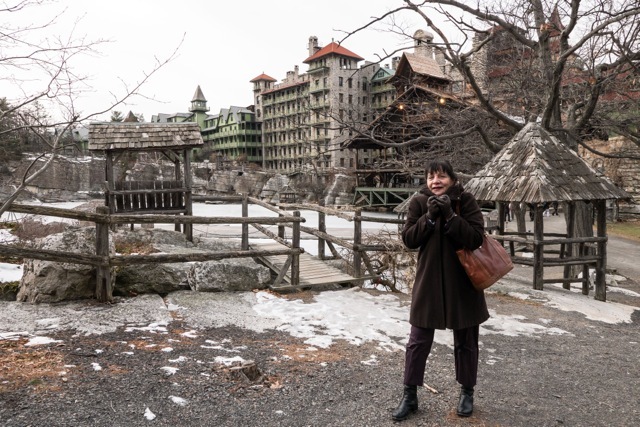 Having percolated all of this for some time, I leapt at an invitation to take a wine class focusing on Italian wines with one of America’s most respected wine gurus on a recent frigid weekend at Mohonk Mountain House in New York’s Ulster County. If I hadn’t been charmed by one of Mr. Zraly’s lectures before, we might not have driven up north in what amounted to a January blizzard, up the swiftly rising height of a mountain to the sprawling lakeside Victorian castle that crowns a savage 2,000-foot quartz ridge called the Shawangunks that is his retreat. 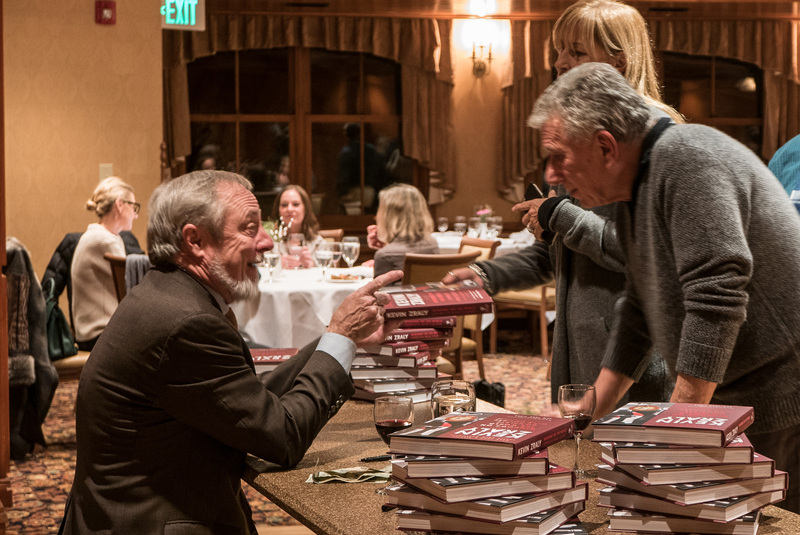 Mr. Zraly is not just a consummate teacher, as the blurbs on the new edition of his best-selling wine book attest (some 5 million sold at last count since its initial publication in 1985), but a wizard at demystifying the complex and often intimidating subject of wines. The castle at the top of this mountain has been, for him, a “sacred space” since the legendary Windows on the World restaurant and home to the eponymous wine school he founded there forty years ago disappeared on September 11, 2001 along with 80 employees and construction workers who died in the terrorist attack at the World Trade Center that day. Mr. Zraly had taken the day off to celebrate his son’s tenth birthday. 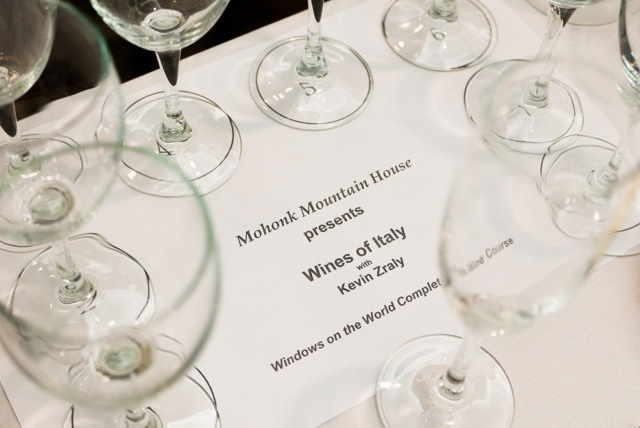 On this afternoon at the Mohonk Mountain House, he was the master showman of Zraly fame and he spoke vividly about wine, sprinkling his authority with wit and wisdom (such as, “Never drink Chianti again; you deserve more—drink Chianti Classico”). We dipped into eight Italian vintages from three regions that produce some of the most appealing wines. They were picked from among those that are widely available, even if the selection inevitably glossed over glorious bottlings from vineyards that we can only find by transporting ourselves to the geographical boot, getting off the tourist track, and exploring what Mr. Zraly refers to as the “vast vineyard” that is Italy for ourselves. There are always more mediocre wines than good ones in the wine trade, but the man who turned the most spectacular restaurant in the world into an “international wine mecca,” in the words of Alex Witchel of The New York Times, curates them for us in the book that has become his life work. As for the many questions I have, I’m curling up with Kevin Zraly’s book for answers. It speaks with clarity, it’s lively, and it’s full of wit besides. Any book about wine should be nearly as much fun to read, as the subject is to drink. Americans are now the largest consumers of wine in the world. Vatican City is the number one place in the world for per capita wine consumption. You’ll get the true taste of a bottle of wine in the first 45-60 seconds in the glass (all that “breathing” is a myth). 2015 was one of the best vintages around the world. 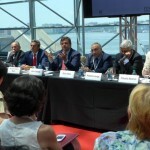 The best value of the top ten wines in the world is Brunello di Montalcino. Pinot Grigio is the best white wine for the price. Prosecco is the hottest thing in the U.S. right now, with sales increasing from 50%-70% yearly. Don’t buy Amarone in a restaurant. It needs to age, and vintages ready to drink are unaffordable to us 99%-ers: Buy it retail and put it in storage for ten years. 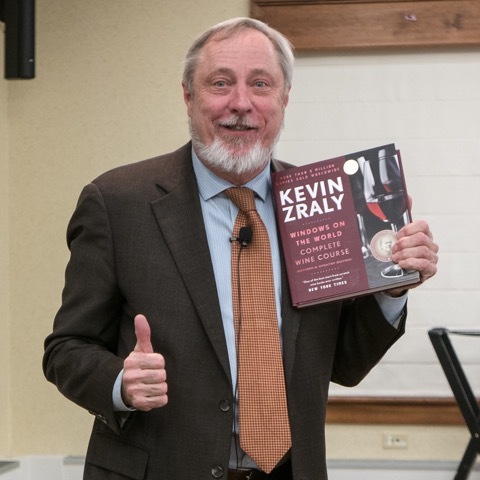 Find out more about Kevin Zraly and his wine school on his website. The new edition of his book, revised with all the bells and whistles millennials expect from sidebars with wine stats to maps to videos attached. 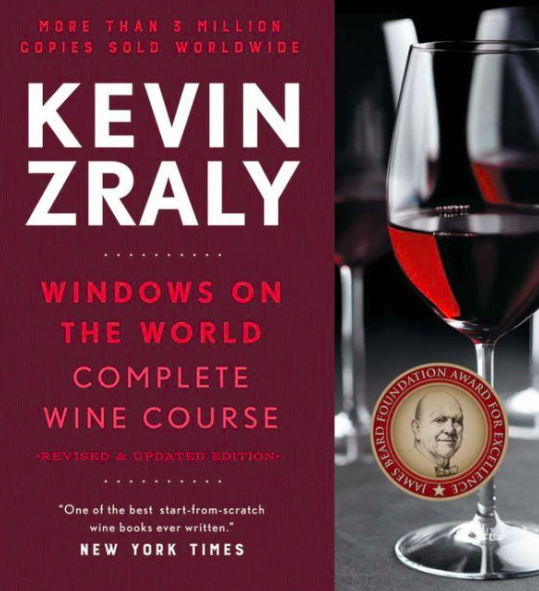 Kevin Zraly’s Windows on the World Complete Wine Course, revised and expanded 2017 edition. I have never entered it with such wonder, nor left it with such regret. Read more about us here, see a new video about our tour, or go directly to the Eolo’s website for more information and press endorsements from prominent food and travel publications including The Herald Tribune (The New York Times), Saveur, Conde Nast Traveler, and the Financial Times. Reserve by February 28. Terms & Conditions below. 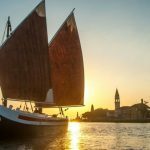 See the glittering city on the sea only as natives can while sailing aboard the historic and beautifully restored Eolo, a flat-bottom “bragozzo” whose design goes back to the time of the Doges and is the only one of its size still navagating. Experience the magic of the lagoon, its history and culture; natural life, music, and rich local traditions. Explore the bucolic, lesser known islands by boat and on foot with our native guide. 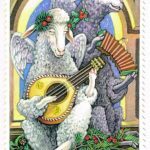 Visit lace, glass, fabric, and food artisans who have been practicing their arts for generations. 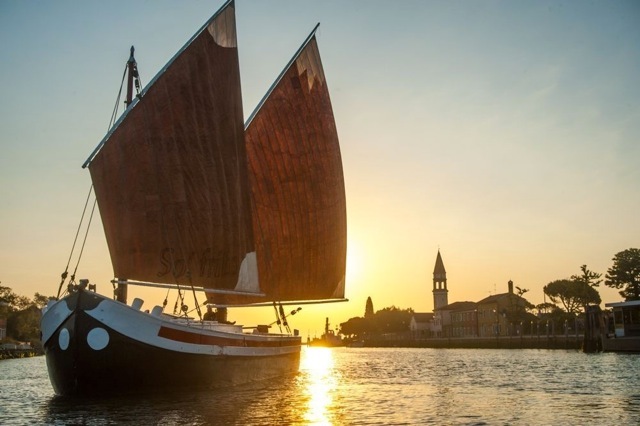 Eat the genuine local cuisine while under sail and dine in the best restaurants of Venice. Sleep in the islands’ charming inns and historic hotels. Finish with a sojourn in Venice for 3 luxurious days in a magnificent private palace and immersion in the art, history, and culture of this spectacular city. 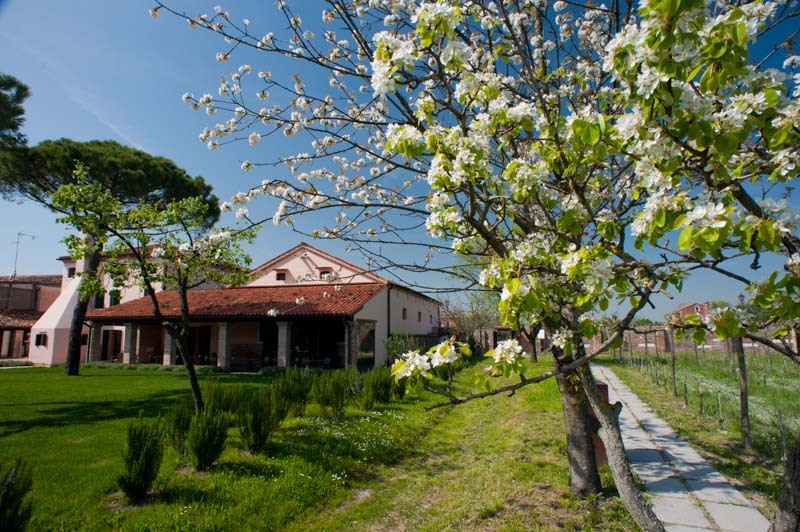 We will meet you upon your arrival at Venice Airport and take you by water taxi to the Venissa, a manor house-hotel and wine estate on its own bucolic island, Mazzorbo, top-rated by The New York Times, Michelin, and Travel + Leisure. The tiny, peaceful island, once an important trading center, is known today for its colorful houses, vineyards, and orchards. Settle in and eat a light lunch. After a rest, go for a guided walking tour to the nearby island of Burano, renowned for its lace making. You will have time to visit the artisans, do some shopping, or just stroll the ancient streets lined with colorful houses. 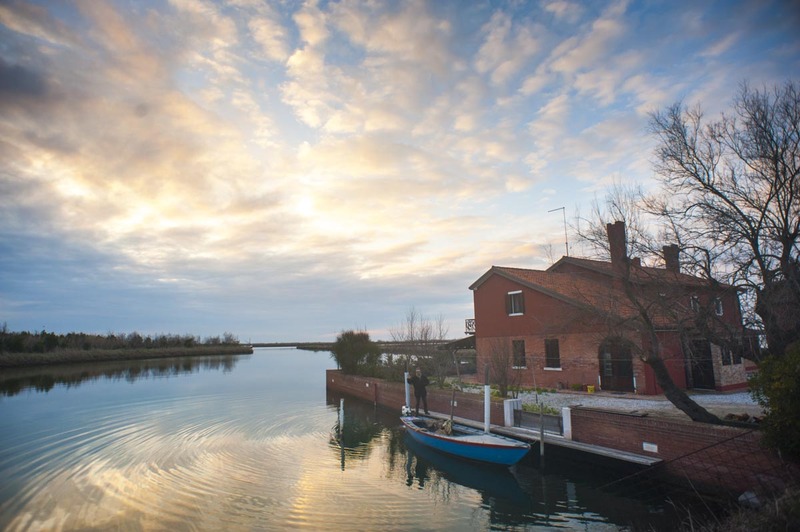 Return to Mazzorbo for a rest and dinner at the Venissa’s acclaimed inn and restaurant. 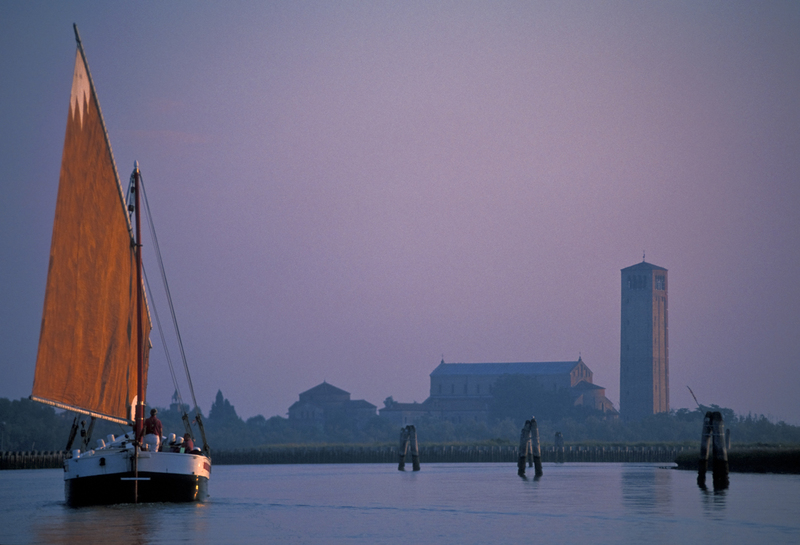 Breakfast at the Venissa, then board the Eolo and set sail for Torcello and the northern waters of the lagoon. 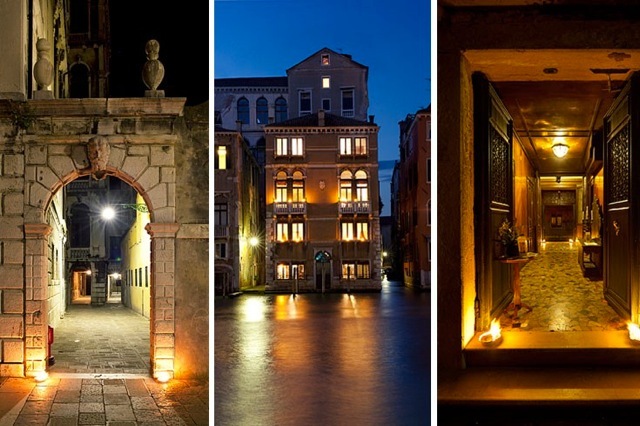 The original site of Venice and famous haunt of Hemingway, the island has a rich and fascinating history. Visit its impressive Byzantine Basilica of Santa Maria Assunta, built in 639 A.D., and the 11 th century octagonal church of Santa Fosca. Climb the bell tower for a bird’s eye view of the lagoon, and wander the island’s tranquil paths. Board the Eolo again and set sail for a quiet canal in a nearby saltmarsh richly populated with birdlife and carpeted with colorful native flora. Anchor. Lunch on the chef’s freshly cooked specialties based on splendid produce and seafood of the lagoon. 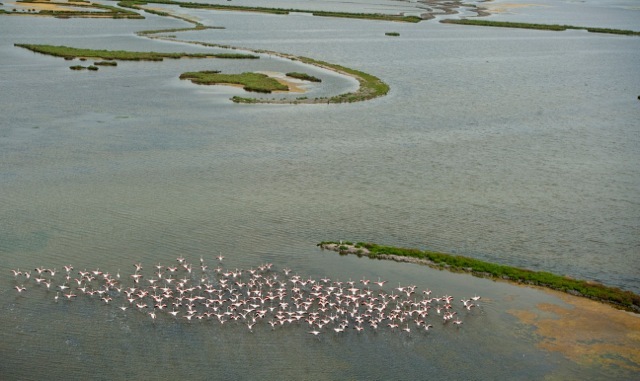 Set sail for the pristine northern lagoon where thousands of flamingoes can be seen flying over the saltmarsh to join other wild fowl that inhabit the islands nearby. Sail to the Locanda alle Porte 1632 at sunset for dinner and an overnight stay. Constructed in 1632 between the lagoon and the Sile River, the building, once the customs house, controlled the entrance into the Grand Canal. 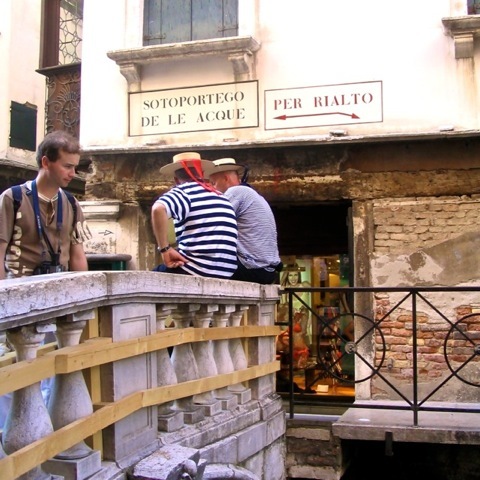 There, Venetian officials collected taxes from both residents and foreigners doing business in Venice. Today it is an inn and a restaurant. Sunset dinner and overnight stay. Breakfast at the Locanda alle Porte 1632. Board the Eolo. After local fishermen deliver their early morning catch to our boat, we set sail. 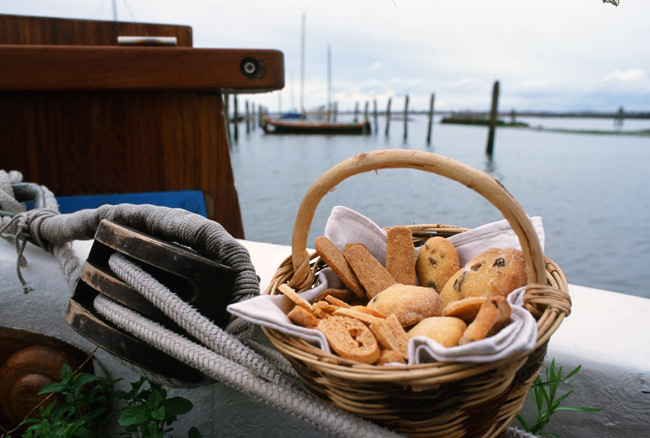 Mauro and Julia will prepare lunch from what the lagoon has offered this morning. Drop anchor near the island of Lazzaretto Nuovo, which once serve as a quarantine facility. Venice appears in the distance. Lunch on board. Disembark on the island and find remarkable evidence of inhabitants who lived here well before the Romans. During the Middle Ages it was used solely as a place to quarantine goods and sailors for a period of time before they could enter Venice as a precaution against the spread of disease. Talk to local mask makers to learn about the origins of their craft. 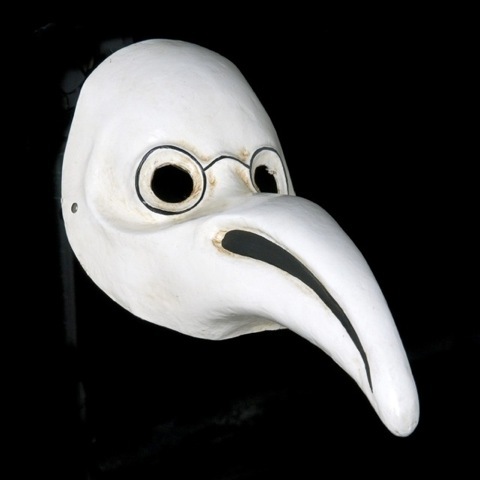 This is where the Venetian mask originated, elaborate cloth cover-ups soaked with vinegar to ward off disease. Today, the island is a beautiful and and peaceful respite. Board the Eolo again and set sail for the ancient village of Malamocco. 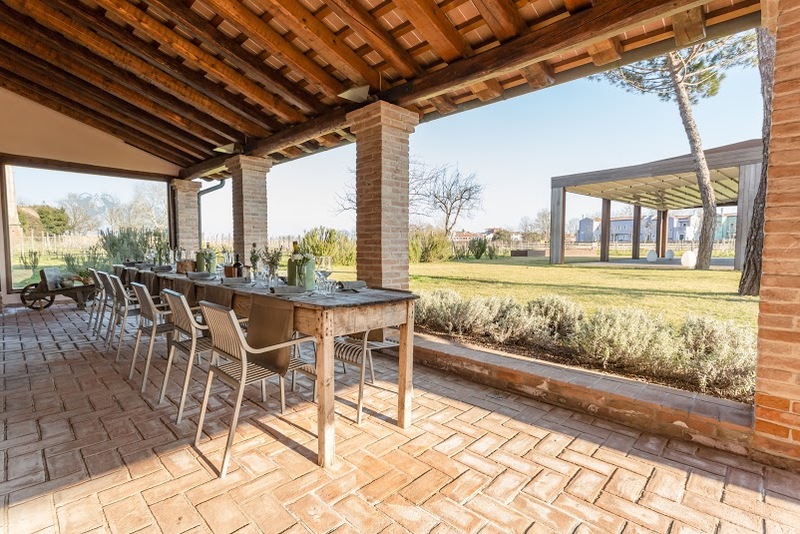 Dinner and overnight accommodations in a beautiful 14th entry villa, Ca’ del Borgo. Breakfast at Ca’ del Borgo. 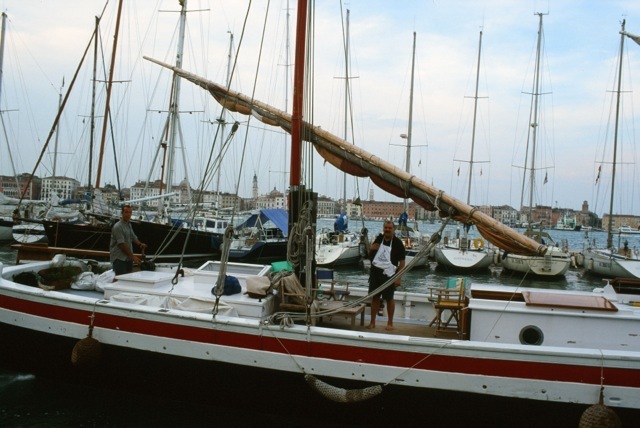 Set sail for Chioggia and take a guided tour of the old port, considered a “little Venice.” See the vibrant fish market, where Mauro will buy the ingredients for our lunch. Stop at the grain store, dating to 1322, one of the most important historic buildings on the island. Visit the island’s Duomo with its masterpieces by Tiepolo, Carpaccio, and Tintoretto. Lunch under sail. The bell towers of San Marco, which once guided ships into the port of entry, will appear in the distance. Disembark in Venice. Transfer by water taxi to Palazzetto Pisani Ferri, a magnificent private 15th century palace in Piazza Santo Stefano overlooking the Grand Canal, Palazzo Barbarigo, the Guggenheim Museum, and the Accademia Bridge. It is still inhabited by descendants of the wealthy merchants who built it. Spend 3 nights in a suite facing the Canal with a private living room and bathroom. Dinner on your own. Recommendations for Venice’s most authentic and famous restaurants are for the asking. Follow your guide through the famous Mercato di Rialto with its beautiful vegetable and fruit stalls and colorful fishmongers. 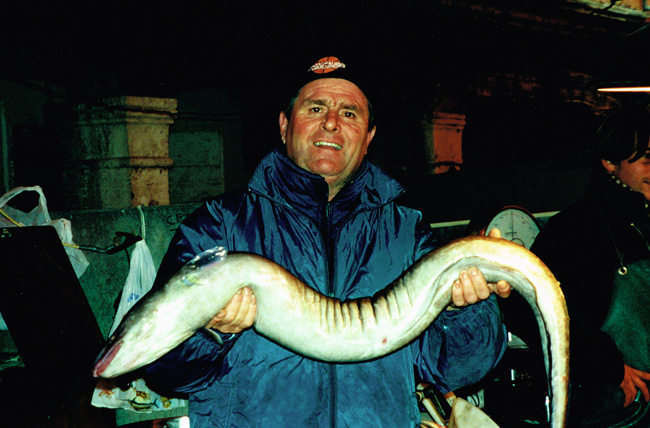 The famous market was once the trade and financial center of Venice. Wander your way through an intricate maze of narrow alleys, bridges and canals to Bevilacqua Textiles. Established by Luigi Bevilacqua c. 1499, it continues the city’s ancient tradition of weaving velvets, brocades and damasks by hand. Lunch in an acclaimed vegetarian restaurant nearby. 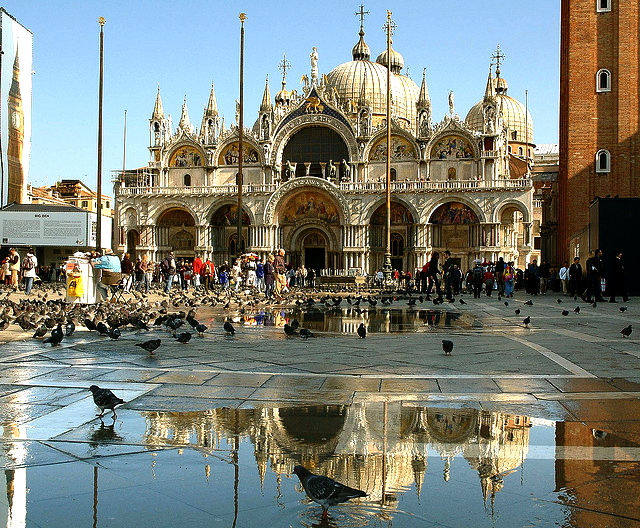 Conclude your day with immersion in the city’s culture, including a stop at the imposing Gothic Frari church with its precious treasures, including The Assumption, the first public commission for a young Titian who would become the most important artist working in Venice. Also see the exquisite Madonnas by Giovanni Bellini and Paolo Veneziano, and Titian’s burial monument. Go with our guide to St. Mark’s Square, once the political and social nerve center of Venice’s wealth and power. See the city’s most iconic buildings and learn about their origins and history. Start off the visit at the Doge’s Palace with its perfectly preserved magnificent facade and interior. Adjacent is the opulent St. Mark’s Basilica. With its nearly 90,000 square feet of gold mosaics and precious oriental marbles, it is considered one of the best examples of Italian-Byzantine architecture. Lunch in a bacaro, a typical wine bar that serves “cichetti,” Venice’s answer to tapas. Free afternoon for exploring or shopping. Farewell dinner at the palace for a last taste of authentic Venice. Airport transfer by water taxi. 4,650 Euros per person including accommodations as detailed, breakfasts, lunches and dinners as described, private visits as per itinerary, all entrance fees, cooking class on board the Eolo, the service of your tour guide(s). Rates based on double occupancy; 20% more for single occupancy. 10% deposit upon reservation, refunded if the minimum of 6 guests is not reached. 40% upon confirmation, the balance 30 days before departure. Minimum 6 guests. Maximum, 12 guests. 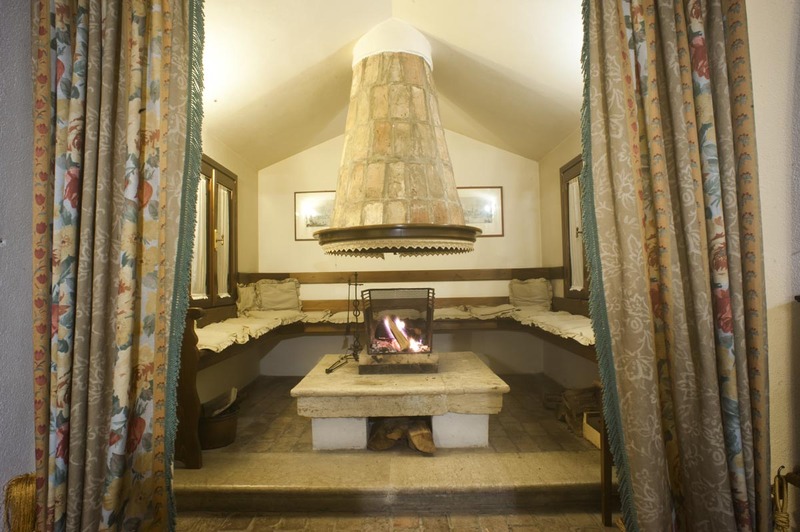 Possible extension of a stay at Palazzetto Pisani Ferri, Euro 300 per couple per night. Flights, travel insurance, items of personal expenditure (e.g. telephone calls, laundry etc. ), discretionary gratuities to boatmen and guides, government levies or taxes introduced after publication of this program (July 7, 2017). Please note that if circumstances beyond our control necessitates some alteration to the itinerary shown, you will be notified of any such changes as soon as possible. 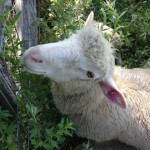 To be sustainable, a minimum of 6 guests is required; maximum 12 guests. 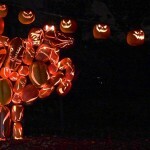 Payment terms: 10% to confirm your reservation; 40% when 6 reservations are booked; balance due 30 days before departure. For more complete information, visit our earlier Forktales post. 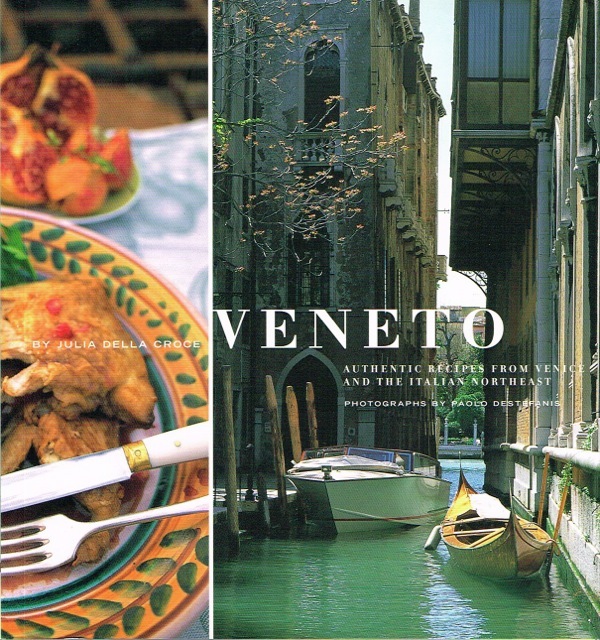 Julia della Croce’s Veneto: Authentic recipes from Venice and the Italian Northeast, with photography by Paolo Destefanis (Chronicle Books) won the 2004 World Gourmand Awards. Julia della Croce has been immersed since birth in the tastes and aromas of the Italian cooking she loves. After becoming disenchanted with a political career, she began cooking in the galley of a 50-foot sailing ketch for paying passengers. She is a journalist, and James Beard award-winning cook book author and cooking teacher. Among her thirteen titles, is Veneto: Authentic Recipes from Venice and the Italian Northeast (Chronicle Books), winner of the 2004 Gourmand World Cookbook Awards. 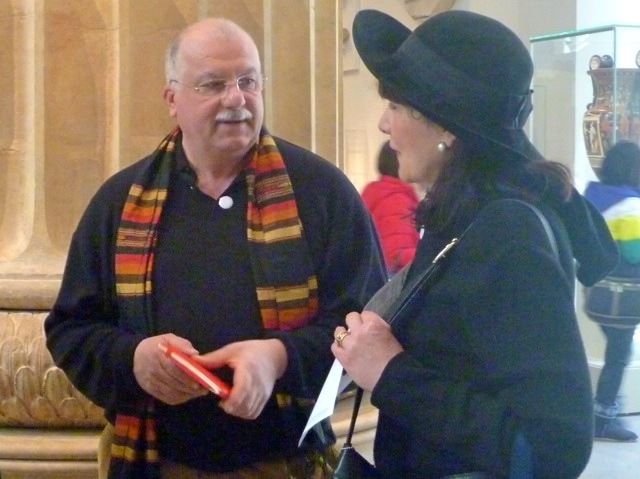 She writes about the culture of food and drink for Zester Daily and in this blog, and is a noted authority on the food of Italy. Mauro Stoppa was born and raised on his family’s farm in a small village near Padua on the southern edge of the Venetian archipelago. He is an agronomist by education but his first love was always the world of the lagoon. 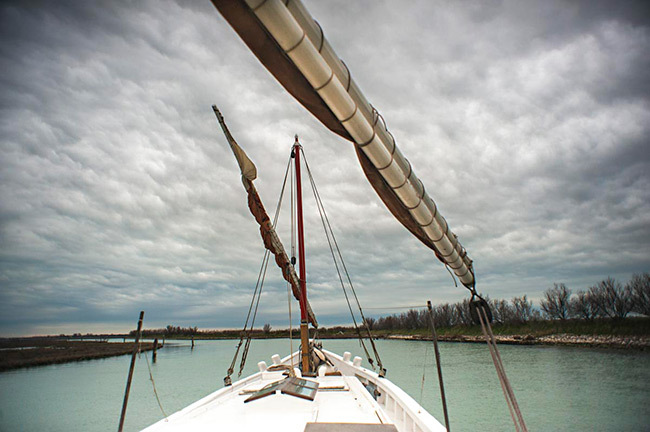 In 1998, he pulled up his land roots and bought and restored the Eolo, a vintage bragozzo named after the Greek god of the wind, a flat-bottomed 52-foot fishing barge that is one of the last of its kind. 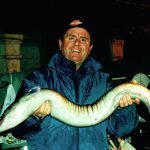 There and then, he decided to fulfill his lifetime dream of living on the sea and to devote himself to the restoration of the Venetian waterways. 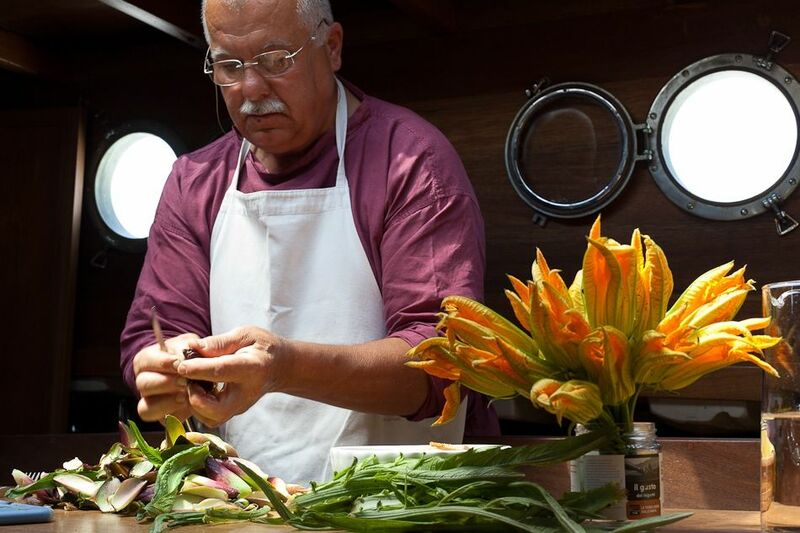 Stoppa takes small groups on cruises to sail, eat his sublime food, and experience the magic of Venice and the lagoon he loves, a venture featured in the New York Times. 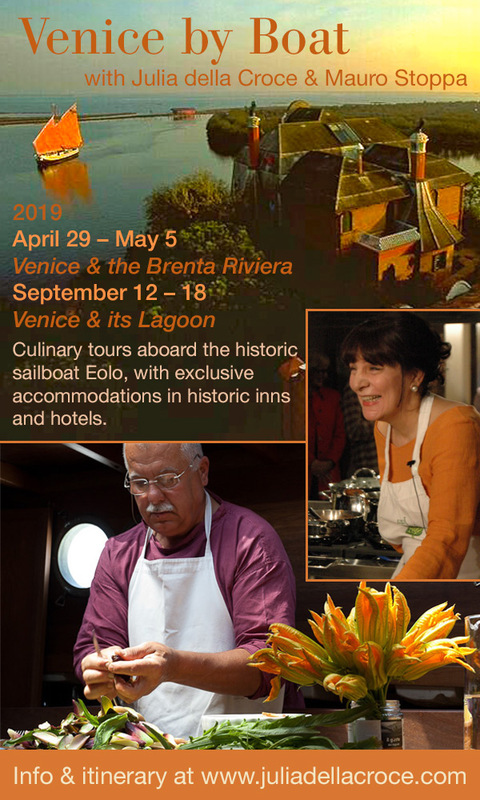 Cruising Venice and its Lagoon—Live!